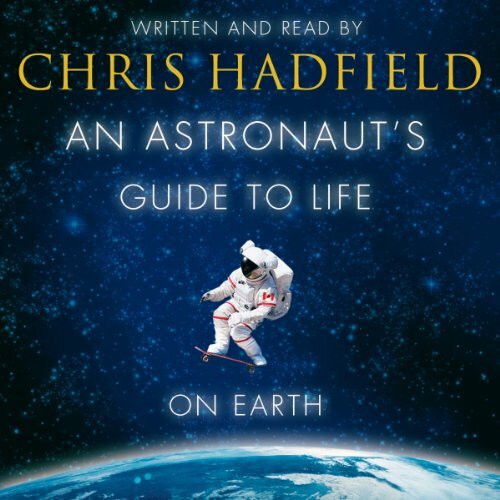 Deeply moving in its ability to engage, An Astronaut’s Guide to Life on Earth is written by NASA Astronaut and YouTube star Colonel Chris Hadfield with the complete and unabridged audiobook narrated by the author. Hadfield’s writing is exquisite, his stories exceedingly entertaining and wisdom unbounded. His lifelong determination to make his dreams come true is tremendously inspiring. This is one of those books that makes you look internally at yourself and your life and question if you’re living it the way you should. Available now from Audible. Colonel Chris Hadfield has spent decades training as an astronaut and has logged nearly 4,000 hours in space. During this time he has broken into a Space Station with a Swiss army knife, disposed of a live snake while piloting a plane, been temporarily blinded while clinging to the exterior of an orbiting spacecraft, and become a YouTube sensation with his performance of David Bowie's ‘Space Oddity' in space. The secret to Chris Hadfield's success - and survival - is an unconventional philosophy he learned at NASA: prepare for the worst - and enjoy every moment of it. In his book, An Astronaut's Guide to Life on Earth, Chris Hadfield takes listeners deep into his years of training and space exploration to show how to make the impossible possible. Through eye-opening, entertaining stories filled with the adrenaline of launch, the mesmerising wonder of spacewalks and the measured, calm responses mandated by crises, he explains how conventional wisdom can get in the way of achievement - and happiness. His own extraordinary education in space has taught him some counterintuitive lessons: don't visualize success, do care what others think, and always sweat the small stuff. You might never be able to build a robot, pilot a spacecraft, make a music video or perform basic surgery in zero gravity like Colonel Hadfield. But his vivid and refreshing insights in this book will teach you how to think like an astronaut, and will change, completely, the way you view life on Earth - especially your own. enjoyed every minute of this book. thank you Chris for sharing a piece of your fascinating life with us. Fantastic story read by the author with passion! What made the experience of listening to An Astronaut's Guide to Life on Earth the most enjoyable? Listening to the details of space life from the author himself. Details of the re-entry of Chris Hadfield and his crew in the Russian Soyuz spacecraft. Not really - it would have taken too long, but I liistened to it twice a day for a week and loved it. An absolute must-listen to all the dreamers! If there's one type of videos on YouTube that I can never get enough of, it's space themed videos about performing simple everyday life tasks in space. This book has those details – and so much more! An absolute must-read (or rather, listen) for all the dreamers out there! Most of us won't ever get to go to space, but we can learn about it and get inspired to live on Earth by doing so. 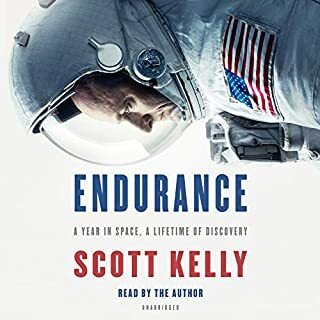 The fact that Chris Hadfield himself narrates the book was the reason I've chosen an audiobook rather than a physical copy, and it didn't disappoint for a second. Loved it! Absolutely loved this book! I've always been fascinated by space and hearing stories from someone who's been there is just amazing. If Chris ever feels like telling more stories about his journey, I'm ready to listen. What an inspiring and lovable book! The book became even better when it was read by the author and astronaut itself. Chris really made it sound like he would telling his stories for you out of the memory instead of roboticlly reading from the computer. I've listened many selfhelp and motivational books but this takes the cake. It is so much different when you are hearing concrete advices spiced up with the actuall experiences of Chris Hadfield. I'm probably sounding too praising but this really had a huge effect on me that no other book has had. I deeply recommend for everyone interested in space and experiencing life more fully. I had a fantastic time listening to it and more so because it’s read by Chris Hadfield himself. This is an excellent books not only for it's exceptionally recherché yet scintillating aphorisms it contains. Nonetheless, this book would be highly worthwhile to peruse. by far the best book I have encountered this year. the story itself is amazing, and the conclusions presented by Chris are inspiring. What did you love best about An Astronaut's Guide to Life on Earth? The authenticity of the narrative. The (mostly) gripping storylines. The useful, first-hand insight into the life of an astronaut. The very useful lessons from it. What I really enjoyed, is that Chris Hadfield doesn't "preach" on what to do and what not. He doesn't give a 10-point self-improvement list of things to learn or do. He simply tells his story, and the perceptive reader can apply the lessons Chris had learned to his/her own situation, or not. There are precious jewels hidden in Hadfield's story. Take this one example: "No situation is so bad that you cannot make it worse." Chris Hadfield himself, of course. But then, his sons and wife seem to be worth getting to know better. No, but I did recommend it to several friends and gave it as a gift to one friend. He's got a great expressive voice for telling His story. 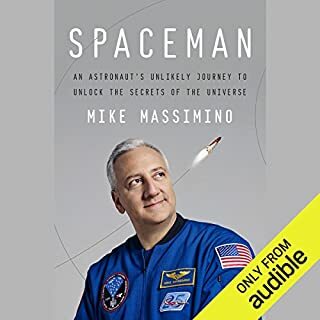 It's much more than a narrative of his journey into space (although everything he does tell us about space is fascinating and even exciting), it explores his philosophy for life in general and gives much food for thought. From humble beginnings, here is someone who had a dream and followed it to completion. Often stating he has been lucky, which everyone needs a little of....but actually, I think it is more like inspiration and perspiration. What other book might you compare An Astronaut's Guide to Life on Earth to, and why? I remember when Chris Hadfield was in space. I remember watching the you tube videos and thinking how cool it looked. When I saw this audiobook I thought I would give it a go. I have never been one to dream about space or being an astronaut, so approached it with an open mind. Chris Hadfield was one of the first Canadian astronaut's and his story is excellent. It is has much a story about dedication and ambition as it was about space and being an astronaut. Very good listen and very entertaining story. 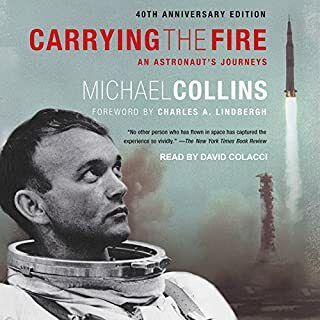 This book is more about the preparation for his mission to the ISS than a standard autobiography with many chapters about his life and upbringing, which I'm grateful for. This is a very enjoyable listen for anyone interested in the space program and that side of science and engineering in general and I really appreciated the detail that Hadfield puts into this side of things in the book. I was interested in what astronauts do in the traning and prep time before their missions. I also appreciated the writing about the impact his choice of career had on his family, it's covered in a powerful and reflective, but never sappy way. Hadfield is not the best narrator, but to be honest, this is to be expected, I'm pretty sure he makes a far better astronaut, so yes there are better narrations on the site, but I still thoroughly enjoyed listening to him read his book. Chris has done a remarkable job detailing his life up to this point. Just kind of person you want to be one if the pioneers a stand out from our time though I would guess he would disagree. 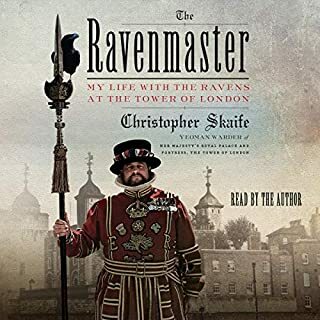 Listening to this grips you from start to finish, an all round humbling experience that is made all the better with Chris himself being the reader. Enjoy. Fascinating story. Inspiring messages. Exquisitely written and read. This guy should be a role model for us all. Definitely recommend. This is a brilliant book which I couldn't stop listening to. I really liked listening to Chris Hadfield reading it. This was not the autobiography I expected. Hadfield gets that out of the way in about two chapters, and spends the rest of the book discussing the intricacies of preparing for and experiencing his final mission, and applying his philosophy to everyday life. In that regard, this book is unusually accurate to its title, and is a must-read for anyone pursuing a challenging career path. Hadfield is excellent at demonstrating how every individual in the ISS project is playing an important bit-part, including the astronauts themselves. He speaks humbly to an almost infuriating degree - at times I found myself wishing he'd get on with acknowledging how awesome at everything he had to be to end up where he did. Occasionally his philosophy can be a little shallow, assuming that everything in life will turn out for the best (well, DUH, if it didn't you wouldn't have become an astronaut!) but he accompanies this with a very healthy acknowledgement of the risks that he would never have flown. 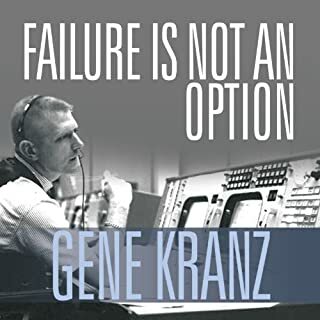 This wasn't the autobiography I expected, but the details on NASA are fascinating, and it is inspiring to listen to someone who aimed for the sky and made it. This audio book is a must for anyone wanting to support their journey towards their aspirations. Chris' pragmatic and humble explanation of his story and the lessons he has learnt is a captivating and thought provoking narrative that parallels everyday life, despite the awe-inspiring nature of his adventures. You won't regret listening to this! Mate - if there was ever a story of sheer determination and focus towards one's life goals, the story of Cmd Chris Hadfield's journey into space tops it! I am not one to usually read biographies, but I remember the fantastic photography, and awesome 'in-school' Q+A sessions that Chris did whilst in space, and thought it would be an interesting character to read about.....I was not dissappointed. There was plenty of space related technical jargon to keep even the staunchest of space nerds (like me!) happy, but also a nice smattering of background story of the effect his single-minded drive had on his family and friends. He can do a pretty good job at narration too! I heartily recommend this one to all. I loved this book. Chris Hadfield's narration made it feel like I was actually having a conversation with him. I was gutted that it was over. Everyone should listen to this book. It is enjoyable, funny and inspiring. Could have happily gone on listening to Chris' life well after the book was over. An amazing and inspiring book. 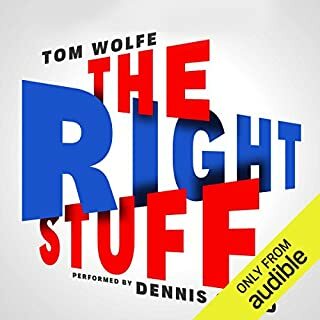 Absolutely loved this audio book. Chris is now my role model. His determination and dedication to his goals and life is an inspiration. I've read many books on self-improvement, but they're usually full of the same-old hype and "go get'em, tiger!" messages. They're also mostly written by people who make a living out of selling books about self-improvement. This book, however, is different. Chris actually walks through every detail of how he achieved his goals, the process, the people he met, the problems and how he solved them, and how he planned his progression. The book is full of great lessons you don't hear from other authors, and he shares very real and normal personal issues his family overcame. Most of all, this book is GENUINE. It is currently my favourite non-fiction of all time. Chris writes about life, ambition and pure focus to achieve ones dreams. Very inspirational and a guide for us all. Where does An Astronaut's Guide to Life on Earth rank among all the audiobooks you’ve listened to so far? I've always been interested in space related stuff. Not thean amazing book but enjoyable nonetheless. I enjoyed the insights he gained along his career.